As NRL News Today has documented in post after post, the onslaught of radical, abortion-on-demand (and beyond) legislation began January 22, 2019. 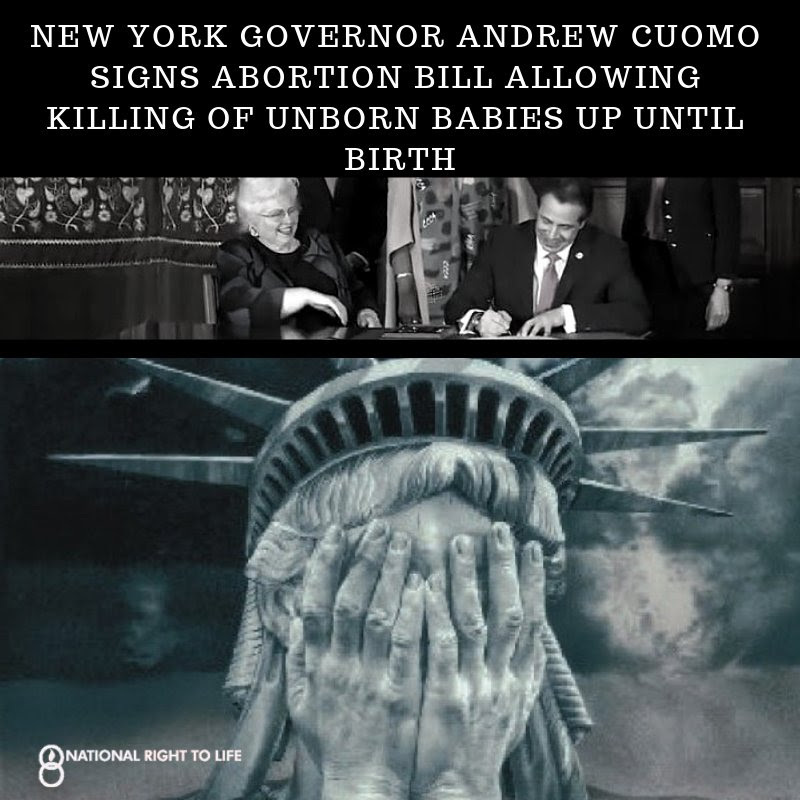 That was the day when pro-abortion New York Gov. Andrew Cuomo signed into law the so-called “Reproductive Health Act.” We’re told, “Riotous cheers” erupted from the gallery and from pro-abortion Democrats. The breadth, width, and depth of the RHA is stunning, and became the prototype for legislation in places such as Vermont, Rhode Island, Illinois, and Virginia. Here is a concise explanation of how, far from “codifying Roe v. Wade,” the Reproductive Health Act went far beyond.